The State of Montana has a rich mining history that dates back to 1850s. The state is also dotted with historical cities, towns and ghost towns that trace their origin to the early days of gold and silver mining in the state. The western part of Montana is particularly rich in gold, and there were thousands of miners here. 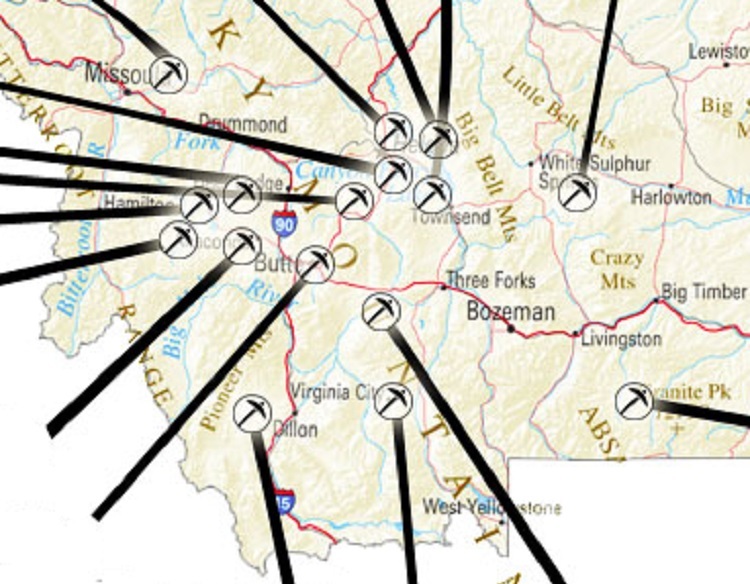 Below are 16 mining towns worth a visit the next time you are in Montana. Some of these are now cities, while others are long ago abandoned. Anaconda Town lies at the foot of the mineral rich Anaconda ranges. The town of Anaconda sprung up around Marcus Daly’s new Copper smelter built in 1883 in the Warm Springs Creek which was about 26 miles to the west of his Anaconda Mine in Butte. The town expanded quickly with several other smelters being constructed in the area. In fact, in 1919 the Anaconda Company’s 178 m Washoe Reduction Works was the world’s tallest manmade structure. The town played a major role in the processing of minerals until 1980 when the last smelter was closed down. Bannack sits on the Grasshopper Creek in Beaverhead County. The town was established in 1862 following the discovery of gold in the area. The town had rich gold deposits and grew rapidly serving as the capital of Montana in 1864. Gold production began to decline in the early 1870s and most of the miners moved away. Eventually, the capital was moved away to Virginia City. The town continued as a mining center until the 1900s when the remaining residents left. Today it is a protected ghost town with a few structures still intact. Gold was discovered in the Cataract Creek in what became the Basin Mining District in 1862 but no serious mining took place until the late 1870s when several commercial mines such as the morning star mine, the Katy Mine, the Hope Mine, and the Bullion Mine were set up. Basin City was set up by Allport and Lawson in 1880 to serve as a trading center for the surrounding mines. It quickly grew to become an important mineral processing center when a smelter was constructed nearby. Mining continued until 1925 when the last mine was shut down for the last time. Today the town is a small community of artists although it is still a favorite for mineral prospectors. Butte was established in the 1870s as gold and silver mining camp. It grew rapidly follow the rich silver and gold ore that surrounded it and at some point, it was the largest town between San Francisco and Chicago. Within a few years, copper became the largest mineral supporting the growth of the town thanks to the increased demand for copper at the turn of the century for making electric appliances. Mining declined in the 1970s and most of the underground mines were shut down. Today, the only remaining mine is the Montana Resources Copper Mine. Cable is located along the Pintler Scenic Route in Montana. The town grew around the Atlantic Cable Lode Mine. The mine was owned by three miners who accidentally discovered gold in the area. The mine was on and off in the 1800s. The town flourished from 1890 to 1940 following the discovery of the Gold Coin Lode and the subsequent construction of the Gold Coin Mill. The mine and the mill were closed down in 1940 turning the town into a ghost town. Today most of the town site is on a private property although the remaining structures can still be seen from afar. The Castle town is an old mining camp situated to the south of the White Sulphur Springs. The town was started in 1882 following the discovery of silver in the area by Hanson Barnes. The first commercial mine to be established in the area was the North Caroline Mine built in 1884. The most productive mine was the Cumberland Mine. The area had about 1000 other small-scale mines and claims that employed thousands of miners making the town to boom. The silver panic of 1893 and the subsequent drop in silver prices forced most of the mines to be closed and the miners left town. Today the town is a ghost town with a number of original structures still standing. The town grew around the Comet Mine developed by the Helena and Livingstone Smelting and Reduction Company. The mines were operational until 1897 when it closed and was later sold to the Montana Consolidation Copper Company before being handed over to the Basin Montana Tunnel Company in 1927. The Mine was one of the most productive mines in the state. It closed down for the last time in 1941. Slowly the town becomes a ghost town and today just a couple of the structures still remain. 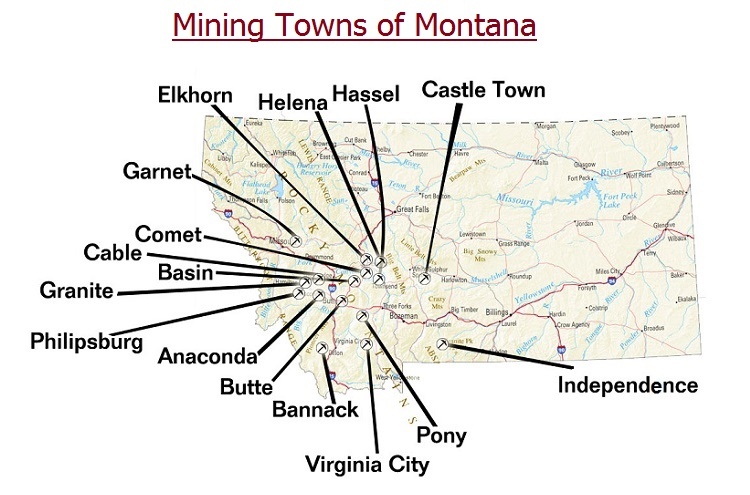 Most of Montana’s historic gold mining towns are found in the southwestern part of the state. Elkhorn is an old mining camp located within the Elkhorn Mountains. Silver was first discovered at the site of the town in 1870 by Peter Wyes a Swiss immigrant. He died shortly thereafter and Antony M Holter took over his claim and developed the Holter Lode Mine. This brought in a lot of miners who laid several other mines such as the Hard Cash Mine, the Union Mine, the C&D Mine and the Golden Curry Mine among others and also established Elkhorn. In 1880 the Elkhorn Mining Company took over the Holter Lode Mine and transformed it building a 10 stamp mill and a smelter for the mine. Mining continued in the town until the early 1900s when most of the mining stopped. The Elkhorn Mine was on and off from then until 1937 when it closed down for the last time. Garnet is located in the Granite County along the Garnet Range Road in Western Montana. Gold was first discovered along the nearby First Chance Gulch in the 1860s. Later the Garnet Lode, one of the richest gold mines in the area was developed bring in more miners and leading to the growth of a town. The town was initially known as Mitchell but changed the name to Garnet after its most productive mine. Mining here continued until the early 1900s when the rich ore was exhausted and the miners left. Today it is a popular tourist attraction in Montana with a number of original structures still in place. Eli Holland discovered silver in the Granite Mountain in 1875. But, it was not until the Granite Mountain Mining Company discovered the Bonanza Chute and established the Granite Mine in 1880 that the town of Granite begun to grow. The town flourished until the silver panic of 1893 forced the mines to close and many residents left. 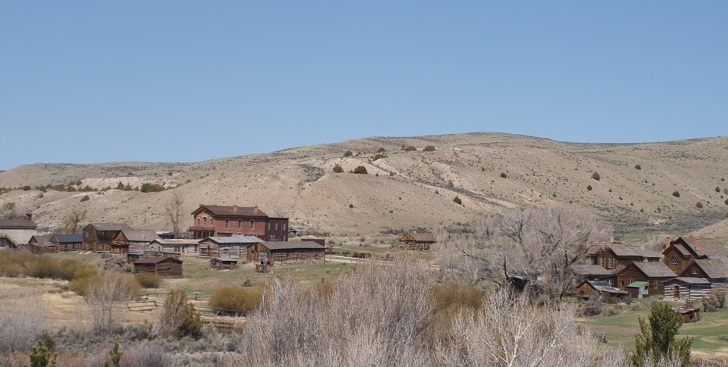 Today the town is a ghost town preserved by the Montana State Park. Hassel is located in the Broadwater County near Indian Creek. The town was established in 1875 as Saint Louis mining camp following the discovery of gold in the area. The camp changed its name to Hassel in 1895 in honor of Joseph E. Hassel one of its pioneer miners. It thrived until 1910 when the rich gold bearing ore dried up. Thereafter mining was on and off until 1946 when the last mining operations were stopped. Today the site is under the Apollo Mining Company which has been working on mining the area. 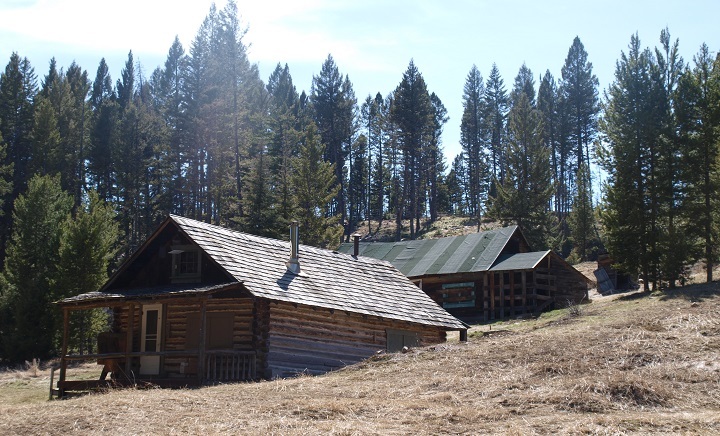 Helena was established in 1864 following the discovery of gold on the Last Chance Gulch by four miners. The news of the rich ore sparked a gold rush that brought in thousands of miners setting up a mining camp that grew into the modern day, Helena. Although gold ore eventually dried up, Helena had become the Territorial capital in 1875 and had great transport networks and links to all major mining towns in the area and therefore did not decline. More about Helena: This Montana Mining Town has Gold Buried Right under Main Street! Independence is located in Park County high within the Absaroka Range. The town was set up around the Independence mine in 1889 and was an important supplier to several other mines in the area such as the King Solomon Mine, the Daisy Mine, the Poorman Mine and the Hidden Treasure mine among others. Mining in the town came to an end in the early 1900s and although efforts to revive the mining were underway for a number of years they were not profitable. Today only a few run down structures remain at the site of the town. The town of Philipsburg in Montana was established in 1867. The town developed around the Hope Mill and was named after Philipp Deidesheimer who was responsible for the construction of the mill. Mining in the area attracted thousands of miners who lived in the town but the majority was employees of the St. Louis and Montana Mining Company which had a number of mines and claims nearby. Mining in the area came to an end in the early 1900s. Today only a few remnants of the early mines remain but the town is far from becoming a ghost town. Pony is located on the eastern side of the Tobacco Root Mountains in Madison County. The town was established in the 1860s as a gold mining camp and was named after the nickname of its pioneer miners Tecumseth Smith. Mining was the main economic activity in the town until the early 1920s when the last mine closed down. Today the town is a historic site with most of the early structures having been restored. Gold was discovered along the Alder Gulch in 1863 giving rise to a number of prosperous mining camps among them the Virginia City. 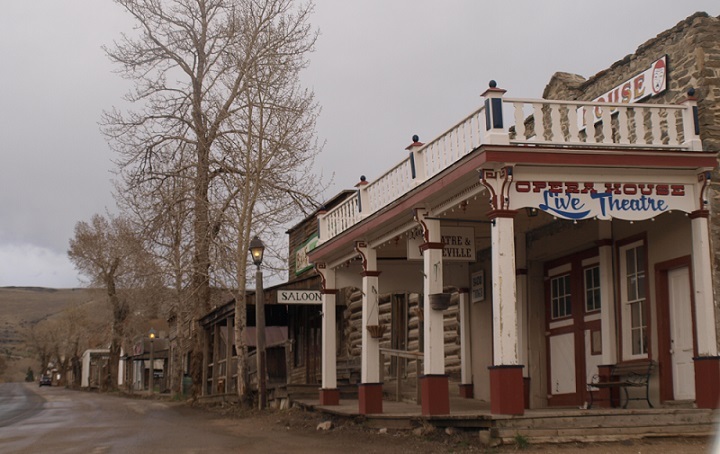 Virginia City grew rapidly becoming the territorial headquarter for Montana in 1865. With the rise of Helena and the decline in the gold ore around the Virginia City, many residents moved to Helena and eventually the capital was also moved in 1875. Mining around Virginia City continued until the 1930s. Today Virginia City is a historic site with some of its original structures preserved.